In early 2007, Apple announced the first iPhone. While some people saw it as a flash in the pan, I saw great opportunity. I believed this device would transform an industry, so I immediately began developing mobile apps to run on this revolutionary device. Half a decade later, I have seen thousands of apps come and go. In the early days of the app store it was relatively easy to develop a hit app and climb the charts to #1. 900,000 apps later and the app store landscape has dramatically changed. The ability to hit the top of the charts involves a little bit of luck and a lot of hard work. To help you navigate these new waters, I have put together a list of my top five strategies to produce a successful mobile app. The most successful apps we have built offer something unique. The RXFiles app is consistently in the top ten grossing medical apps and is used by medical professionals across Canada on a daily basis, even though it fills what some may consider a small market. 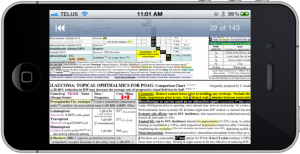 This app digitizes a large reference book with details on drug information and interactions, allowing doctors and pharmacists to quickly access vital health information to safely treat their patients. This is a unique set of information that is hard to replicate and is maintained by trusted experts in the medical field. The owners of the RXFiles app found a niche that nobody else was filling, and they filled it well. As another example, NuuNest, an app for new parents, recently reached #1 for paid applications in the medical category on the iOS app store. The owners of NuuNest were nurses in this particular field and the guidance and insight they offered was invaluable in developing a feature set that users actually needed. Similar apps apps may contain more features but they couldn’t offer that unique guidance and insight offered by experts in the field. 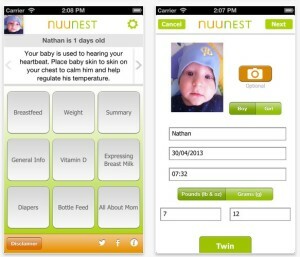 NuuNest saw a niche that was already being filled, but with apps that were not fitting their users needs. They set out to do it better, and they succeeded. One of the most successful marketing campaigns promoting an app we developed was the Ding Free campaign. 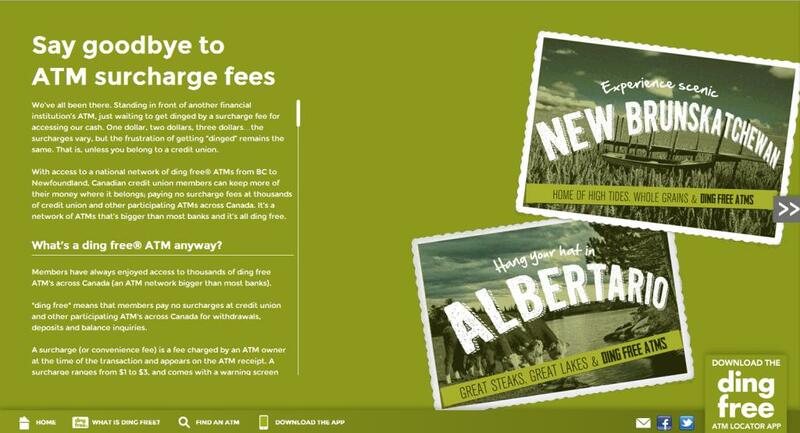 It was promoted nationwide by many credit unions, some of which even had their own targeted campaigns focused on this app. In addition to press, radio and television coverage, a website was set up solely to promote the app. They timed the press coverage and app release perfectly, ensuring that press was aware the app was coming and that their coverage would be ready when the app was available. This led to tens of thousands of downloads nationwide and has consistently kept Ding Free a top app in the Finance category ever since it hit the app stores. Affinity Mobile, a banking application we built for Affinity Credit Union, is an example of targeting a built in subscriber base and continually marketing fresh, new features. They promote the app heavily in their ongoing marketing and with their recent release, generated significant nationwide and local press coverage. This has helped them be consistently among the top apps in the finance category in the iOS app store. Users quickly adopted to the new version we built which allowed users to remotely deposit a cheque from their phone. Over 2000 users upgraded to the new version during their brief “soft launch” period, which was when the app was available on the store but had not been announced. This soft launch strategy is a great way to get the app out there and work out any kinks before going full bore on press coverage. When the app was publicly announced, over 1000 users downloaded it in the first week. They have continued to promote the app on an ongoing basis. This ensures they hit all their users and also prompts Affinity to keep new features rolling out so the app does not become stagnant. What users key on when browsing the app store is the app icon and the title. The app description isn’t shown in the selection phase when are simply browsing the store, or sifting through search results. This is why developing a descriptive and eye-catching icon is exceptionally important. Humans are very visual and if an icon doesn’t catch someone’s attention, they’ll move on. The app icon is one part of an apps design that many companies and app developers prioritize too low and it leads to failure. The other piece of information displayed in this selection phase is the title. The title is important as users will glance at this and if it doesn’t appear to fit their needs, they will skip over it. It doesn’t matter how well worded your description is is users never get in to see it! You need to put as much information in the title as you can but still keeping it short and descriptive. The name can be as simple as “<your brand here> mobile” for well established brands such as Affinity Mobile. However, if you don’t have a well defined brand you need to select a title that describes your app well, such as “Saskatoon Transit”. Once your app has gotten past the selection phase, you want your users to have a great experience, which will encourage them to recommend your app and write rave reviews. A lot of this boils down to professional app design. One thing our company prides itself on is the simplicity of our designs. We want to design apps that are beautiful and easy to use. With our recently released Affinity Mobile app, one user said it was “shockingly” easy to use which is high praise to our ears and should be a goal you strive to hear about your own app. It is also important to look at what other apps have done and take inspiration from them. Sometimes apps in other fields will contain ideas that haven’t been explored in your apps field. And if you explore apps within your field, maybe that one idea your competitor’s app had is the missing piece to make your app a success. Remember what Picasso said – “Good artists copy, great artists steal”. Price is last on my list, but not least. In fact, it it the easiest one to get wrong and sink your app. Look at what other apps are doing in your field and plan to price around or at that price level. If there are no direct competitors for your app, try to find apps in a similar field and see what they are charging. It is often best to match price with other apps unless yours is a premium app with more features and higher quality. However, be cautious as users are often more inclined to choose the app at the cheaper price than the more expensive app. This is an unfortunate reality as users don’t know exactly what they are getting until they have already paid for it. That concludes my list of what makes apps successful after being in the app business for half a decade. I’ve seen all the ups and downs that the business has had – thankfully it has had far more ups than downs. Please leave your feedback or let us know if you think there are other things you would recommend.